However, properties owned in the United Kingdom are subject to tax in the United Kingdom as these are not covered by the double taxation treaty. On the 7th July 2015 Section 42 of the Wills & Succession Law Cap.195 was abolished. This abolished section gave Commonwealth country citizens (except Cypriots) the absolute freedom to dispose of their estate through a Will in any manner they wished. Since the publication of this new law there has been a great deal of confusion as to the validity of Wills already made in Cyprus by British citizens and it has also confused those who were thinking of making a Will. 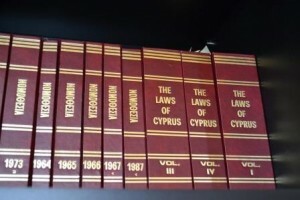 Clarification: The answer is clear and simple and is taken directly from Section 43 of the above mentioned law which states, among other things, that Wills made by British citizens in Cyprus are valid and effective provided they are not in conflict with Section 11 of the (English) Wills Act 1837. Taking into account the above, making a will in Cyprus is strongly advised as, without one, assets will be distributed according to Cyprus inheritance and succession laws whereby all first degree relatives co-inherit equally. This entry was posted in Cyprus on August 24, 2015 by LegalPaphos.